Ge≥99.999%. Resistivity ≥ 50 Ω•cm (20±0.5 ℃). 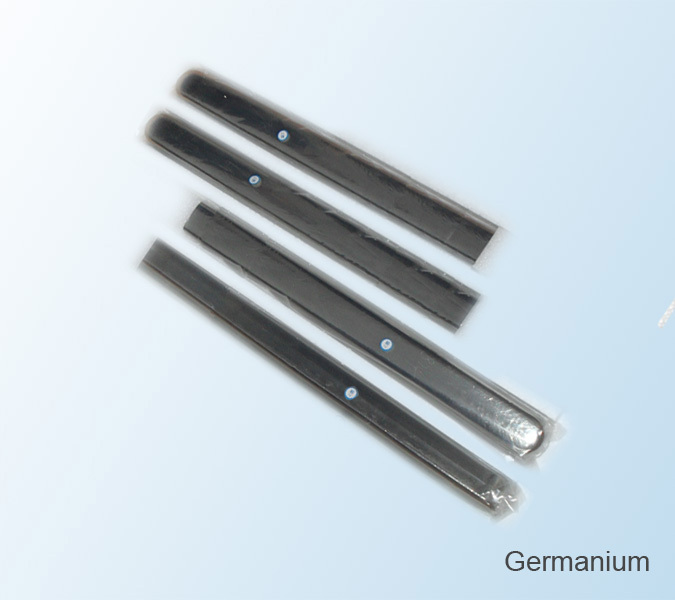 Metallic Germanium is hard and brittle and has a silvery ash luster in trapezium-like bars. Density is 5.325 g/cm3; Melting point at 937.4℃ and boiling point at 2800℃. Every ingot is vacuum sealed in a PVC layer bag, placed in a polystyrene box and then packed in a wooden case of about 25 kgs net each. Widely used in semiconductors and detectors, infrared optical industry and in growing Germanium Monocrystalline, producing Germanium alloy and other Germanium products.